It’s time for me to come out. (Not that way – I did that a while ago.) I hinted at it a month or so ago, but now I feel more certain. In fact, it was the one thing I knew I wanted to take a stand on when I took part in a recent panel at Reach Academy. The Ofsted ‘Outstanding’ label needs to go. I say this as someone whose first free-lance gigs on leaving teaching were training teachers ‘to be outstanding’ or writing resources on “Outstanding Teaching and Learning”. But the world has changed, evidence has moved on, the system has evolved. And I’ve changed my mind. Firstly, I think the label does more harm than good, and secondly it’s not clearly meaningful or valid. So firstly, why did I previously think that, on balance, ‘outstanding’ was an accolade worth preserving and why don’t I anymore? Because Progress 8 is a better measure the perverse incentives are smaller (though still huge). This is not just because of the focus on progress, but perhaps more importantly because the absurd ‘C’ threshold is far less significant. Given that the league tables exert such pressure to keep doing better, we don’t need an extra thumb-screw. Whether it be the Chartered College of Teaching, the Institute for Teaching, London Leadership Strategy, Challenge Partners, ResearchED, TeachMeets, the NAHT’s “Instead” or Teaching Schools, teachers are now doing it for themselves in a way that they weren’t before. There is therefore less need for an imposed drive for excellence. Good schools and good leaders generally want to get better. Whilst the measure and standard for that used to simply be an Ofsted criterion, that’s simply not the case anymore. 3. Even if aiming to be outstanding does some good and works for some schools, the harm now outweighs that. Yet that is not even Ofsted’s fault. For every clear, frank and honest bit of advice and guidance Ofsted’s Sean Harford and co give – in an attempt to liberate and empower the profession – learned subservience means it falls on deaf ears. The culture has long grown too toxic. 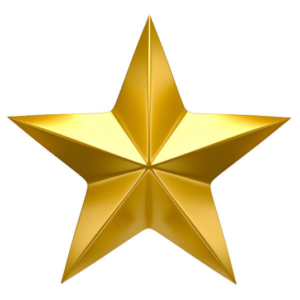 Ultimately, too many of the biggest problems in education can be traced back to one powerful institution’s right to award the gold star. There is now little alternative but to abolish it. Secondly, even if the outstanding label were useful, the evidence showing that it is of very limited validity is now too compelling. I find this intensely annoying. A highly respected consultant and Ofsted inspector commended me on my ability to grade lessons accurately back in my third year teaching, and I was proud of this. But Robert Coe has shown that lesson grades are remarkably inaccurate. Since then, Ofsted has listened to the evidence and rightly stopped grading lessons, but Datalab have also shown the limited links between judgements about schools and their subsequent trajectories. Becky Allen has therefore argued that “inspectors are inconsistent and biased and the data is wrong”. Given this, can so much really hang on a judgement that hasn’t proved its worth? Can so much really be justified in its name? And would we really be worse off without it? The outstanding grade could be worthwhile if it cast light on excellence and helped us learn from it. This is indeed the quite reasonable rationale for inspecting outstanding schools given in Ofsted’s new strategy. But the more I think about it, the more I realise we could get this from the system-led programmes mentioned above, and this would have the considerable benefit of avoiding the current crippling side effects. We do need to combat complacency and push for the best, but, in schools above the threshold of acceptability, this should be embodied in the leaders and will be sufficiently driven by the carrot and stick of league tables. I am not arguing for an end to Ofsted and grading; there are schools in our system that receive millions of pounds of taxpayers’ money every year, but are not good enough. Ofsted should identify and address these. But Ofsted does not need to drive the very highest levels of excellence. The power to do that is now within our system.